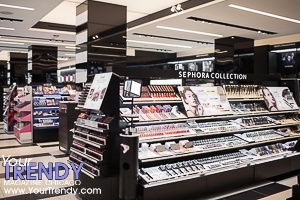 SEPHORA brings its innovative BEAUTY TIP (Teach, Inspire, Play) WORKSHOP concept store to the Midwestwith the opening of its new Michigan Avenue store. 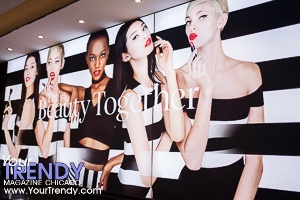 Chicago's revolutionary new shopping experience will be the third SEPHORA BEAUTY TIP Workshop in the U.S., joining San Francisco's Powell Street and Boston's Prudential Center locations which opened within the last year, and marks the global beauty retailer's 400th free-standing SEPHORA store in North America. 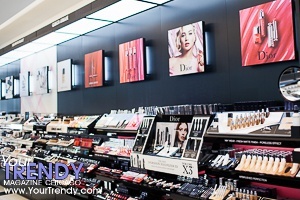 SEPHORA'S reimagined store concept features The BeautyWorkshop, the striking "heart" of the store design, and an integral part of the TIP experience. The sleek table acts as a central workstation where clients come together to learn via group beauty classes with Sephora's educated facilitators, leverage tutorials and Sephora Virtual Artist technology on integrated iPad stations, or gather inspiration from The Beauty Board, Sephora's own shop-able gallery showcasing user-generated content via a large digital screen. Each station is equipped with its own product, iPad, USB port and wifi, so clients can play, browse and share looks on the digital screen and online, right from their seat. The two Sephora Beauty Studios centered in the middle of the store serve as the place for one-on-one makeovers with Sephora experts, and will feature the debut of Sephora's NEW Digital Makeover Guide, an interactive face chart that is a record of the specific service the client received combined with customized product and application tips, and is delivered directly to the client via email, making it the first digital take-home-tool to be offered by Sephora. At the Beauty Studio, clients will enjoy large stations featuring Sephora + Pantone Color IQ touchscreens for foundation, lip and concealer shade matching, and new mirror and canopy lighting fixtures for maximum light exposure. The new store will also be the first to offer a completely NEW Fragrance Studio experience, featuring Fragrance IQ enhanced with the first-to-market sensory technology, InstaScent. Developed in partnership with 5th Screen Digital, and available exclusively at Sephora, InstaScent allows clients to explore 18 scent families through an innovative, dryair delivery system. Clients can now explore scent families before trying individual fragrances with our fragrance experts. As clients move through the Fragrance Studio, they can choose to sample favorites, have their purchases gift wrapped, and even customize their bottle with complimentary engraving. Additionally, skincare consultations will take place at The Skincare Studio. SEPHORA Michigan Avenue is one of the first stores in the fleet to feature this newest client service fixture, complete with a working sink and four well-lit seated stations to ease facilitation of the Sephora's client-favorite Mini Facial service. A touchscreen station is also affixed to the area for instant access to Sephora's exclusive Skincare IQ diagnostic, helping clients determine the best products based on their skin concerns and demystifying the wide range of highly effective product choices Sephora offers.